Our NPO has been established in Yokosuka in August, 2016. Why? We, Japanese admit that many Nepalese take an active role in business in Yokosuka. In addition, Yokosuka is one of cities with global environment. Many Americans, Filipina, Koreans and other foreigners live in Yokosuka. Therefore, the purpose to activate our NPO is to design mutual cooperation by intercommunication in foreign countries and cultivate mutual understanding and develop future friendly relations between Japan and Nepal and other countries. In order to promote our movement, we try to think about “what they need now” and act to contribute “what they need now” to the people who need help. 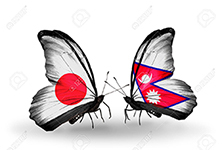 It may be “Medicine”, “Education”, “Environment”, “Waste-Problem”, and “Global Warming.” Our NPO will contribute to Nepal, mainly assisting education for children, promoting social environmental improvement and economic development and continue Japan-Nepal friendship between the two countries forever. In addition, we will build educational program to cultivate awareness of human power and environmental sustainability as an environmental program for children 100 years ahead. What is necessary for human resource development is education to nourish human power broadly and deeply. Let’s make “Our Hearts One” through the education of Knowing, Learning, Seeing, Feeling, Searching, Acting, Enjoining and Communicating.